Looking for the new 2018 KIA Stinger GT? Then come see your local Scarboro Kia dealership. These vehicles have a lot of great features that you may want to know about. From headlight to body design the Kia Stinger is truly something to behold. This car features daytime running light, LED turn signals and headlights, and aerodynamically engineered mirrors. The lines of the body were designed with the flare of a sports car in mind right down to the exhaust pipes. Inside, the low-slung seating profile is designed to help you better feel the road as you drive. Constructed with premium materials every feature inside, down to the hand stitching on the seats and circular spoked air vents, has been designed to convey a sense of elegance. 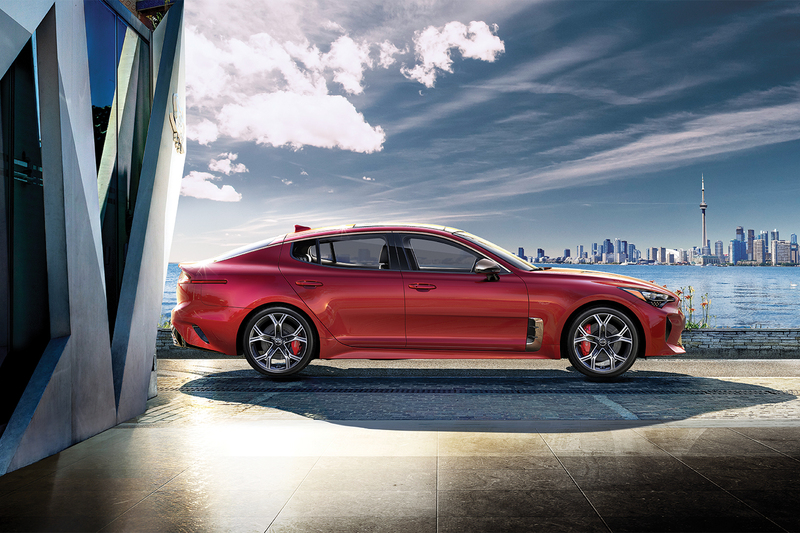 The new Kia Stinger incorporates modern technology to provide enhanced performance and a great experience. The floating touch screen display makes it easy to find the features you need without hunting for the right knob. Access your radio, vehicle diagnostics, or even roadside assistance with the touch of a button. For the music lover, 15 speakers have been strategically place throughout the car allowing you to have the full sound experience. Those who love to drive have a number of feature they may want to take advantage of. These include lane assist and a driver alert system to help monitor both the road and your own condition. Smart features also contain a road assist which can help monitor blind spots, and a smart cruise control which can slow or accelerate as needed to help maintain a safe distance between the Kia Stinger and any vehicle that may be ahead. If you like what you’ve read about the new Kia you don’t have to take our word for it. Come see it for yourself. Our knowledgeable staff are here to answer all your questions. Let us help you find the vehicle you’ve been looking for. It is no wonder the 2018 Kia Sportage is an award-winning SUV with its sleek and sophisticated style. New to the 2018 model is advanced driver assistance technologies. An intelligent AWD system is available on all models. This system is able to sense, anticipate and optimize traction need for any road type of weather condition. It comes with new space throughout as well as increased cargo area. It features 60/40-split folding rear seats. This allows you to lay the seats all the way down for additional cargo space when you need a little extra hauling room. Along with all the added space comes a little extra headroom. The interior of the new Sportage now comes equipped with an 8-inch touchscreen system that includes an Infinity sound system and backup camera navigation. For those cool winter mornings, everyone in the cab can enjoy heated seats. The base models come with front-wheel drive and 2.4L engines providing182 horsepower and 177-foot-pounds of torque. AT the other end is the 1.6L turbocharged four-wheel drive delivering 177 horsepower and 195-foot-pounds of torque. Each model comes with the Drive Mode selector. It offers the driver to choose between Eco, Normal and Sport modes. Kia reworked the suspension in the 2018 models. This combined with a stiffer body offers a more refined ride. The Sportage is a fun little SUV to drive, hunkering down around turns and delivering responsive steering. It also comes with some impressive safety features including blind-spot monitoring, vehicle stability management and rollover mitigation. When you Scarboro Kia, make sure to give the Sportage a go. You won’t be disappointed with the crisp drive and comfortable cabin. It has a sporty feel with plenty of space for passengers. This Kia would make a great family car. It does well in the city with enough clearance to escape to the country when needed. The time has come to start looking at the new vehicles that will be manufactured for 2018. The 2018 Kia Rio 5-Door EX Sport, which can be found at a Scarbaro Kia dealer soon, will feature improved spaciousness, safety and more. 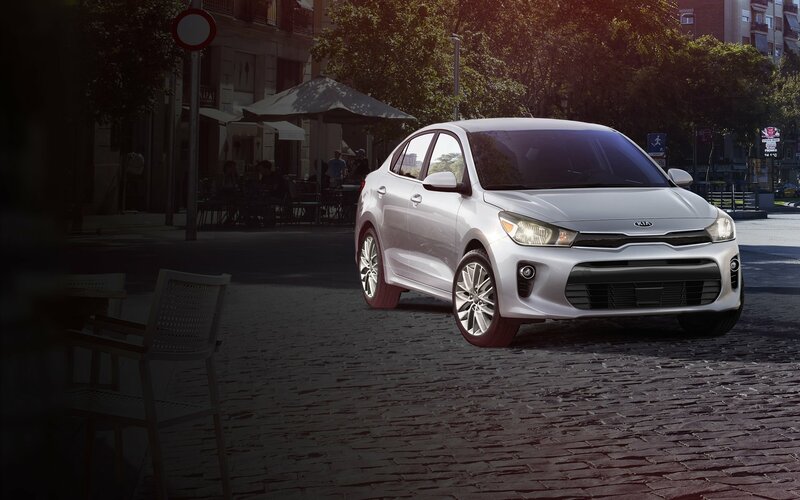 Here are some of the things that you should expect from this new Kia Rio. This new Kia vehicle has added autonomous emergency breaks as well as a safety cage structure reinforced with steel in order to keep up with safety standards so that Kia can remain on top in the market. Bluetooth will be offered in this car, and some of the top models are getting telematics, including a touchscreen and Apple CarPlay or Android Auto Integration. There is also keyless entry and heated front seats available in this model of car. There are three trims; LX, S and EX. Press releases on the new car claim that this car aims to improve fuel economy, which is important not only for your wallet but also for the environment as climate change concerns continue to rise. Kia also claims that 90 percent of the car’s design is new, including the body. Reviews claim that the seats are comfortable even after a long drive. The new Kia Rio will be available as a four-door sedan or a five-door hatchback. Some theorize that five-door cars will begin gaining more popularity, as we are starting to see more manufacturers coming out with them. These models feature a lot of cargo space, which is great for moving. For everything these cars offer, they are expected to start relatively cheaply as far as pricing is concerned, giving you more bang for your buck. If you’re looking to get a brand new car this upcoming year, visit your nearest Scarbaro Kia dealer and look into the new models Kia has to offer, including the Rio 5-door. The visually captivating and award winning 2018 Kia Sorrento is the ideal SUV for you and your loved ones to drive around in. This vehicle is full of features and specs that set it apart from competition. In addition, Kia is known for creating safe and reliable vehicles. If the thought of being in complete control of the road excites you, investing in a Kia might be advantageous. 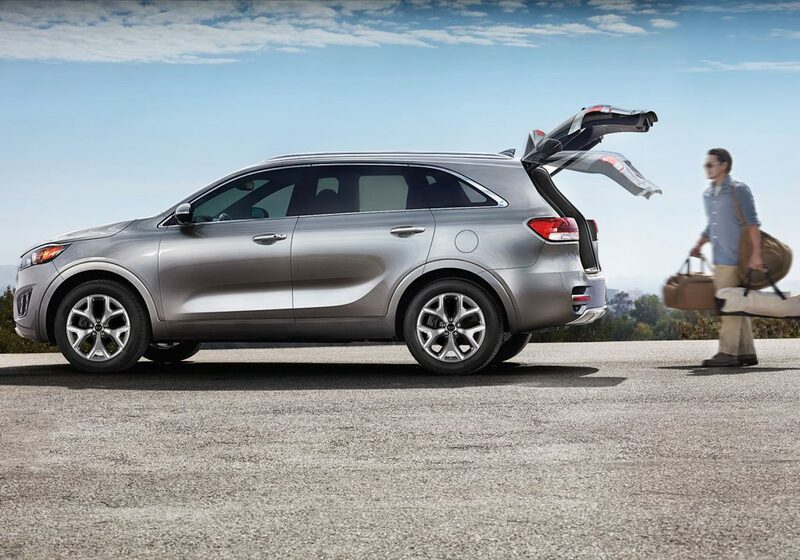 The 2018 Kia Sorento boasts an all-wheel drive system which constantly adapts to the weather and other conditions that can alter how control you are of the road. This keeps both your family and yourself safe. You can trust the system to constantly be one step ahead and eliminate your chances of losing control and putting your family in harm’s way. The torque vectoring cornering control system is also a unique feature that allows you to have greater control over turns. If you love to take adventures and risks, it is critical to choose an SUV with ultimate handling power. You have the option between three engines including the fuel efficient 2.4 liter 4 cylinder, the 2.0 liter turbo engine or the 3.3 liter V6 AWD. If your top priority is fuel efficiently, you can go with the 2.4 liter 4 cylinder. The 3.3 liter option makes it possible to tow up to 5,000 pounds. For the adventurer who craves power and ultimate performance, the 2.0 liter turbo engine is a suitable option. Depending on your needs and desires, you can choose the right engine for you. The 2018 Kia Sorrento is safe, reliable, beautiful and immensely powerful. You can take control of the road and all your surrounding thanks to the system that is always one step ahead of the road conditions. Depending on the needs of your family and how much power you crave, there are various engines to choose from. Head over to Scarboro Kia to check out the 2018 Kia Sorrento soon. Once upon a time, Kias were thought to be modest family vehicles, but today, the car manufacturer has stepped up its game and introduced a design that is sleek, sport and wow-worthy. Better yet, it is still designed to be the ultimate family vehicle. If you’re looking for a ride that will transport your family in class and comfort, explore the 2017 Kia Sportage. The Kia has been and always will be a vehicle designed for comfort. With ample cargo space, flat-folding rear seats and a dual level cargo floor, you have plenty of room to stow all of your belongings. Want to take a family road trip? The kids won’t complain as they lounge on the soft leather interior in the back, and you’ll be more than cozy in your leather-coated bucket seats in the front. The driver’s seat is optimized for easy handling, with everything angled directly at it and within reach. The 2017 Kia Sportage was designed to make an entrance. 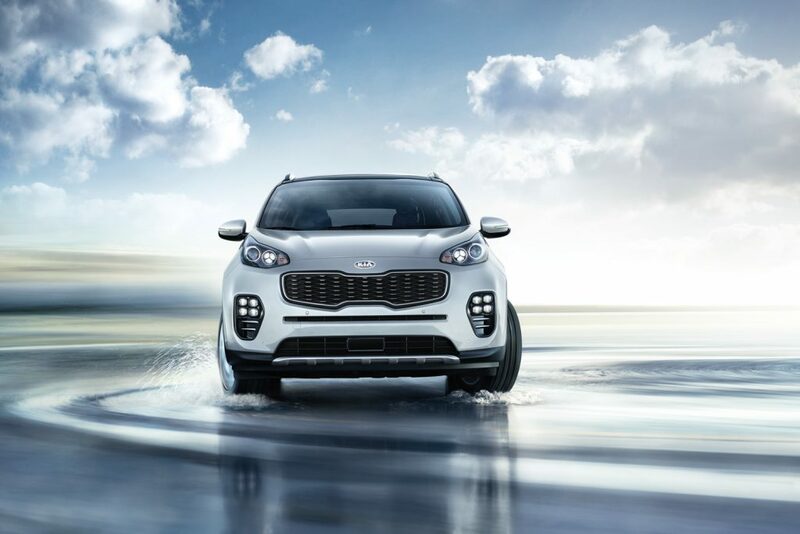 A modern compact crossover with elegant lines and supple curves, the Sportage captures attention when on the road and inspires a spirit of adventure in its owner. Unlike any other SUV on the road, the Kia Sportage dares you to think outside the box and to defy convention. No longer are Kia’s just made for commuter travel; rather, they beg to be driven off roads and into the great out doors. The prominent wheel arches, eye-catching grill and full-chrome window surrounds, the newest Kia achieves a perfect blend between luxury and sport. If you’re in the market for a brand new vehicle that can accommodate your family’s needs as well as your own spirit of adventure, look no further than the 2017 Kia Sportage. Head over to Scarboro Kia to check out the manufacturers latest design and to test drive this masterpiece. Can you keep up with the Stinger? Kia Motors has been capturing the attention of the automotive industry and performance car enthusiasts since the world premiere of the Kia Stinger sports sedan at the Detroit auto show in January. Just last week, the Stinger made its Asia debut at the Seoul Motor Show where a 4.9 second 0-100 km/h acceleration time was confirmed for the rear-wheel drive 3.3 turbo powered model. This impressive acceleration performance puts the Stinger near the head of the pack among competing models and is proof-positive that Kia is now challenging the standard for vehicle performance among mainstream brands. Find out more about the remarkable acceleration and power of the Stinger! First things first – What is a “GT”? GT, short for Grand Tourer or Gran Turismo in Italian, refers to performance and luxury vehicles capable of both fast and long-distance driving. GT vehicles boast both unparalleled speed and driving comfort. The acceleration performance of GT models is evaluated by measuring the time that a vehicle takes to accelerate from 0 to 100 km/h (or 0-62 mph). There are various factors that can improve a vehicle’s 0-100 km/h time. Improving vehicle acceleration is dependent upon the engine and transmission system, and car makers are constantly working to generate more power by upgrading the exhaust system and turbocharger performance. Reducing vehicle mass and tweaking the exterior design to optimize aerodynamics are also proven methods to shave seconds off of acceleration times. Seizing the global spotlight upon its world debut, the Stinger GT stunned the world not only with its sensational exterior design, but also its high-performance capabilities. Introduced to Asian audiences with striking new colors and details in Seoul, the Stinger dropped another massive surprise for the global audience. With the powerful 3.3-liter twin-turbo V6 (rear-wheel drive version), the Stinger will deliver a 0-100 km/h acceleration time of just 4.9 seconds, surpassing Kia’s original estimate of 5.1 seconds as communicated in Detroit. This makes the sports sedan the fastest accelerating car Kia has ever produced. Hitting 100 km/h in under five seconds with a maximum speed of 270 km/h, the Stinger is reaching another level of power and performance and revamping the Kia brand. Feel the speed and the velocity of the Stinger in the video below! Stinger’s 4.9 second acceleration performance is an incredible feat for Kia and will serve as a starting point for future improvements in vehicle performance. We don’t’ know what the future holds but for now, but in the meantime, can you keep up with the Kia Stinger? Author adminPosted on April 11, 2017 Leave a comment on Can you keep up with the Stinger?